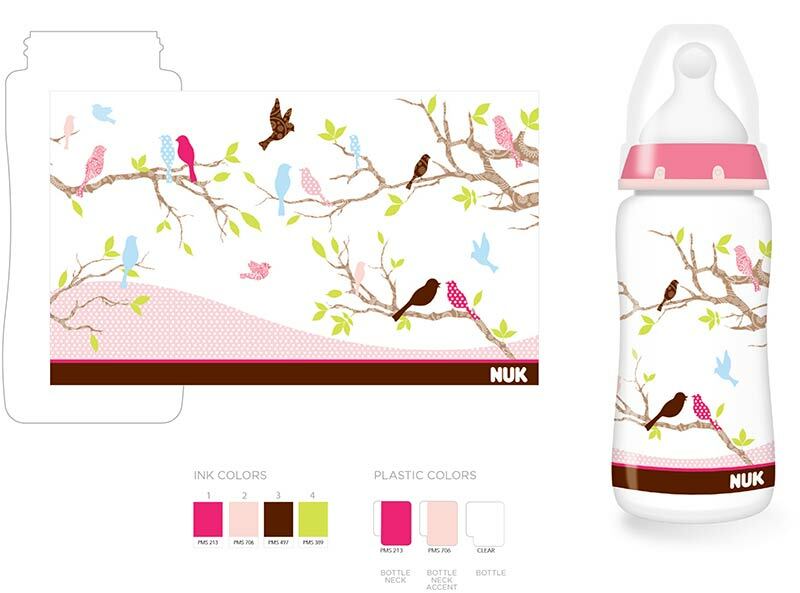 While working at Firepower Design, Nichie helped design baby bottle label and packaging for NUK, a best-selling manufacturer of baby products that promote healthy oral development. Pink and blue are the standard gendered baby colors we’re used to, but our team wanted to eschew those stereotypes to offer stylish, more gender-neutral designs. 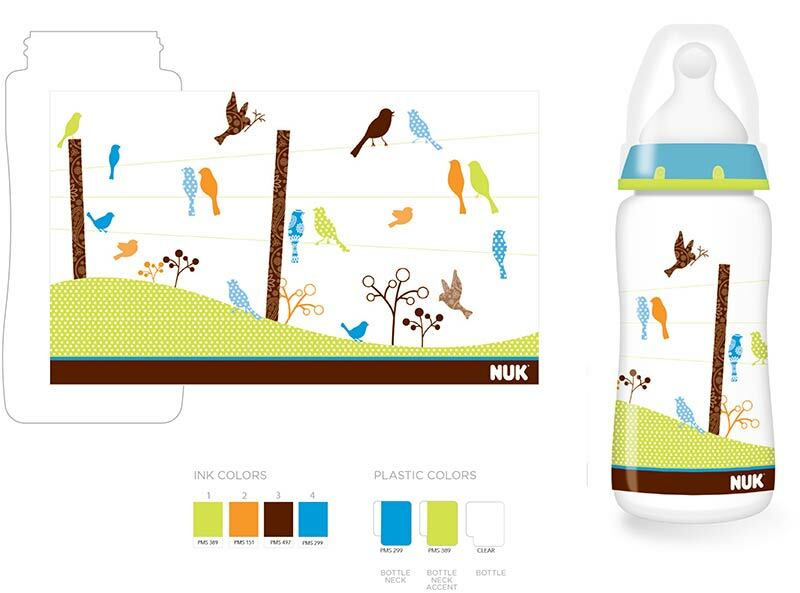 This involved setting specific color palettes for the label, as well as for the plastic bottles themselves. 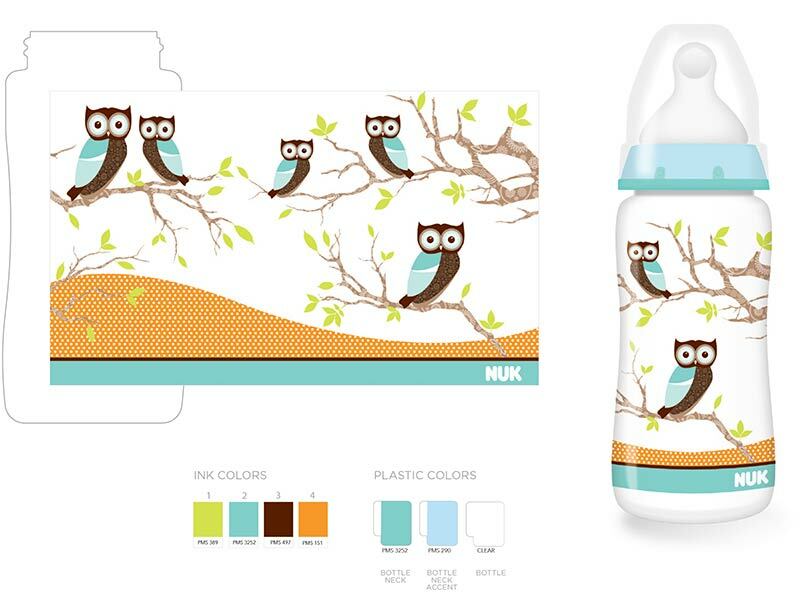 These illustrative labels are colorful and charming—drawing inspiration from animals, plants and fabric textures. While this project was completed a few years ago, these designs can currently be found in the marketplace and have been sold at Target and other large box retailers.